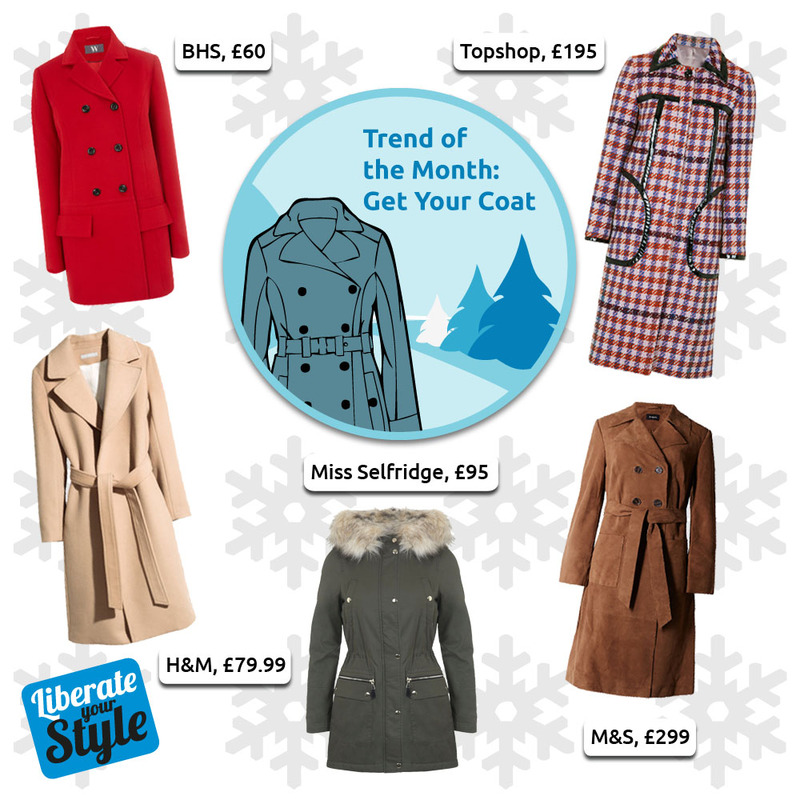 Winter coats are the staple in any winter wardrobe, and this season we’ve been overwhelmed by choice. From fab faux fur to modern checks, The Liberty Shopping Centre has all the trends for you to ‘fall’ in love with…and with the temperature set to drop in the coming few weeks, there’s never been a better excuse to update your coat collection! From creamy latte to sumptuous café au lait, get your fix of Winter’s new neutrals. This gently tailored camel coat (£79.99) from H&M is a real investment – buy now, wear forever! The traditional trench has been updated this season in a number of new textures like this super-soft suede trench (£299) from M&S. Winter doesn’t have to mean dark and dreary. Brighten the dark evenings with bright and bold colours like this red double breasted A-line coat just (£60) from BHS. Add military detail with shiny belts, buckles and buttons like this khaki luxe parka (£95) from Miss Selfridge – a firm favourite of Vogue magazine! From classic dogtooth to punchy patchwork, choose your check. This premium wool blend coat with vinyl trim and clean tailored lines (£195) from Topshop is timeless. Add a dash of effortless glamour to your outfit with this premium shaggy faux fur coat (£90) from River Island. Its textured Mongolian design is the last word in luxury, and has an effortlessly cool glam-rock look. Why not share your bonfire night style pictures with us on Facebook, Twitter, Pinterest or Instagram, using the hashtag #LiberateYourStyle?